Service providers of online interactive activities for children. 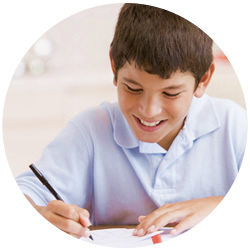 is an interactive learning tool to help kids recognize that their thoughts are powerful. We created this program as a guide for elementary school psychologists, guidance counselors and social workers as well as parents and caregivers. Kids really are just a thought away from changing their day! You have about thousands of negative thoughts a day and your child does too! Our interactive activities help children become aware that their first thought may not be the best choice. We use colorful and comically illustrated idioms to reflect real life situations and stories and the thoughts and feeling that arise from them. We teach children basic principles of thought and how they think affects how they feel, how they act — and what happens as the end result. This program further highlights unhelpful and helpful thoughts and offers children the opportunity to recognize the value of replacing an “iffy” thought with a “witty” one! You have about 60,000 negative thoughts a day and children do too! Our interactive activities help children become aware that their first thought may not be the best choice. We use colorful and comically illustrated idioms to reflect real life situations and stories and the thoughts and feelings that arise from them. We teach children basic principles of thought and to realize that how they think affects how they feel, behave and what happens to them. This program further highlights unhelpful and helpful thoughts and offers children the opportunity to recognize the value of replacing an “iffy” (unhelpful) thought with a “witty” (helpful) one! 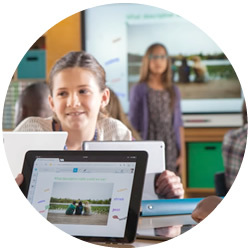 3 Program Components = 3 Great Ways to Learn! This innovative program guides 8-12 year old children, their parents, as well as educators and clinicians through cognitive behavioral techniques. The goals are to provide problem solving skills and effective ways to help kids learn how to think their way to more helpful thoughts. The companion mobile app for smartphones and tablets keeps the learning going — at home, in the car, in class or in a clinical setting. The full featured app contains interactive skill exercises and games that further instill the program concepts in the setting that works for you. 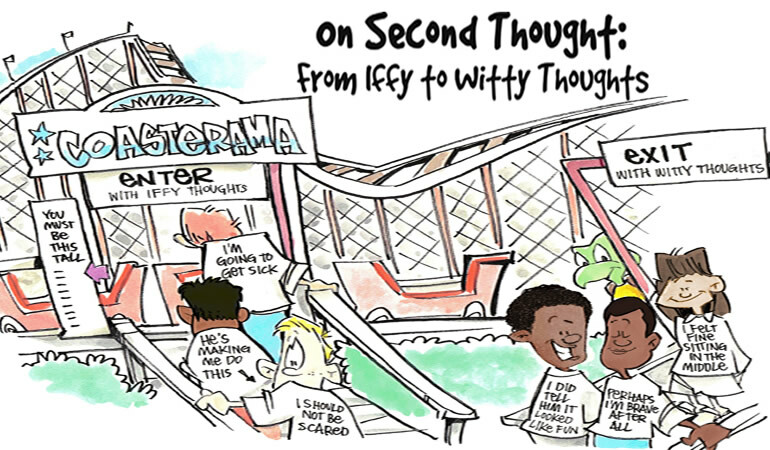 The “On Second Thought: From Iffy to Witty Thoughts” companion workbook includes fun and interactive activities to support the key program concepts, and puts the concepts into real-life situations with real life situations that kids can understand.